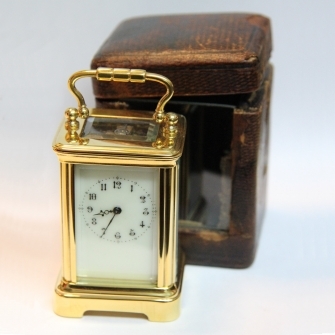 A lovely and original little antique timepiece. The smaller than usual, eight day duration movement with its original French Cylinder platform escapement. 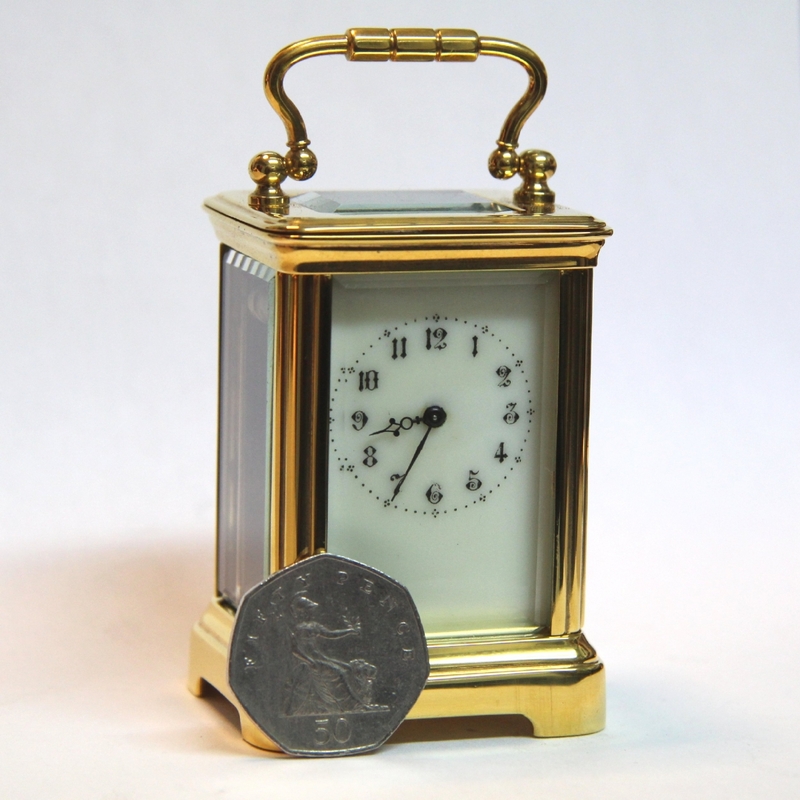 Behind an off-white enamel dial with ornate Arabic numerals and minute divisions and ornate steel hands. 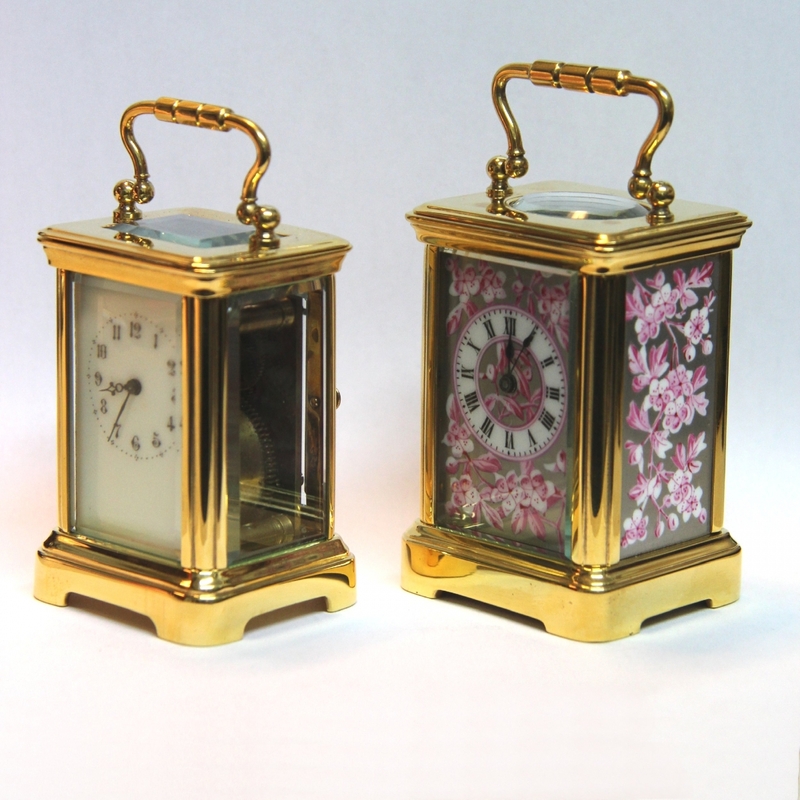 Contained in a 'Corniche' style gilded brass case with a bow carrying handle and bevelled glass panels throughout. Also having its original leather covered traveling box with glass panel, blanking panel and flip top. table. It would make an ideal gift. Dimensions: Slightly over 2 3/4" high (excluding handle) x 2" wide x 1 3/4" deep. Investment forecast: 5 (please refer to our 'Buying for Investment' guide for explanation).